As the U.S. federal government shutdown enters its second week, the U.S. Coast Guard said late Friday it will be able to provide 42,000 active duty service members a one-time emergency payment on Dec. 31. "The Administration, the Department of Homeland Security, and the Coast Guard have identified a way to pay our military workforce on Dec. 31, 2018. This one-time action applies to military members that served on active duty in the month of December and those reserve military members that drilled prior to the lapse in appropriation," according to a post on the Coast Guard All Hands Blog. 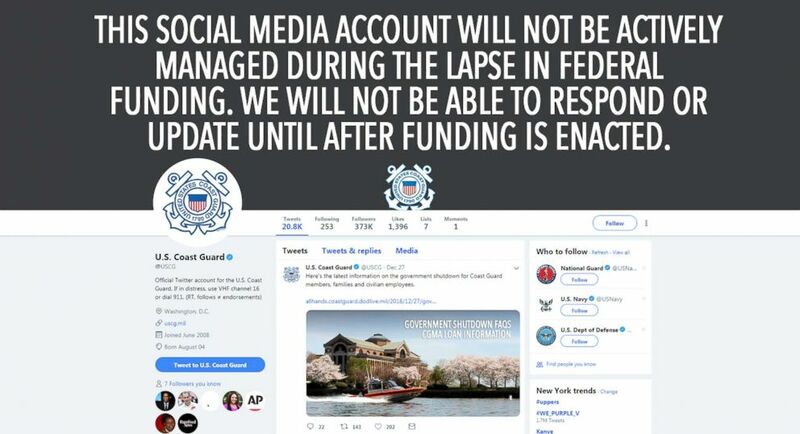 The Coast Guard's official Twitter account tweeted the post late Friday. The Coast Guard is a military service but it is part of the Department of Homeland Security, which is not funded. Approximately 42,000 active duty members are affected by the shutdown, which is in its eighth day. Congress and President Trump remain deadlocked over budget appropriations for a wall along the U.S.-Mexican border. 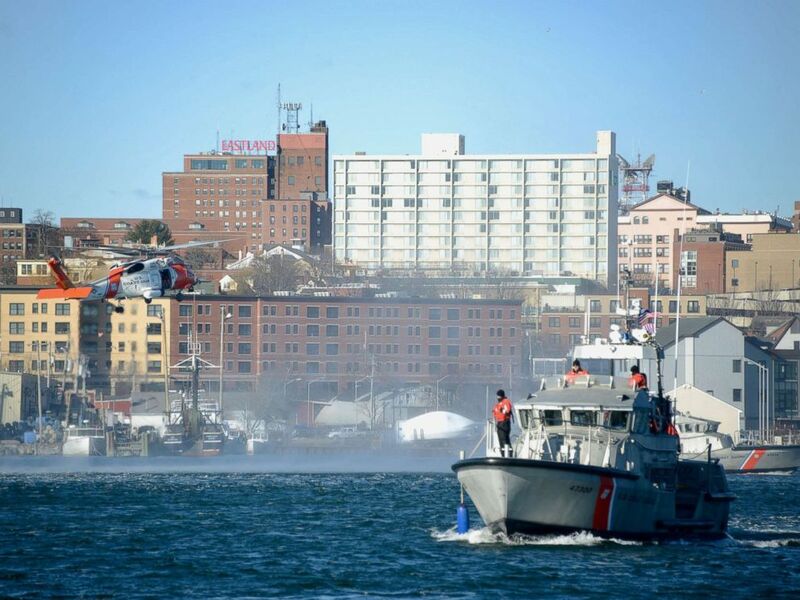 U.S. Coast Guard Air Station Cape Cod and U.S. Coast Guard Sector Northern New England air and boat crews conduct a search and rescue demonstration at Casco Bay in Portland, Maine, Dec. 7, 2018. "This approval only covers the Dec. 31, 2018 paycheck. It does not guarantee a paycheck on Jan. 15, 2019. Meeting active duty and reserve military payroll for January 2019 will require a fiscal year 2019 appropriation, a continuing resolution, or passage of an alternative measure," the post said. Members of the military who were on active duty, reservists who served on active duty during the month of December and retirees will receive monthly paychecks on Dec. 31. Reservists who conducted training prior to Dec. 21 will also receive the appropriate pay and allowance entitlements on Dec. 31, according to the post. A screen grab of the U.S. Coast Guard's Twitter page. Active duty Coast Guard members, even those deployed overseas, have been working without pay since Dec. 21. The timing of the government shutdown, which began right before Christmas, has many families anxious about the lack of pay. Liana Abundo, 29, is depending on the paycheck to cover her family's needs. She's in League City, Texas, while her husband is deployed overseas in an undisclosed location. “Today we were expecting a paycheck, my husband pays for our survival. I never have a solid job where I can develop a network because we move around. We’ve been married seven years and we’ve moved to three different states," Abundo told ABC News Friday. As of Saturday morning, she told ABC News that she had not received a paycheck. She said she is frustrated when people remind her they will get backpay when the shutdown is over because they need the money now to pay bills. “That’s not what your savings is for," she said. "It’s for a medical emergency or because your car broke down." Mandie Jarvis, whose husband is serving in Baltimore, Maryland, notes that the money has already been earned and the military, with its service commitments, is different from civilians affected by the shutdown. "Our Coast Guard has already worked for those hours. In the civilian world, how would you like to work for two weeks and not get paid?" she said. ABC News' Amanda Maile contributed to this report.